I’ve watched this at least 5 times now, and many sections many more times than that. This is the best, most succinct, most content-dense, anti-evolution presentation I’ve ever seen. At first listen, this struck me as a great turn of a phrase, and it certainly is. But let’s hit the pause button and just think about all that’s being said here in just this one line. Survival of the fittest (AKA natural selection) is supposed to explain how species adapt and change: those with advantageous mutations will prosper, while those without will eventually die off. But survival of the fittest is a selective process – it picks the best out of the group. How then, does it work before there is a group to pick the best and brightest from? Natural selection is a key mechanism for evolution, but it doesn’t offer any explanation for how animals come to be in the first place! This one, short, ever so quotable line, points out a gigantic problem with evolutionary theory! 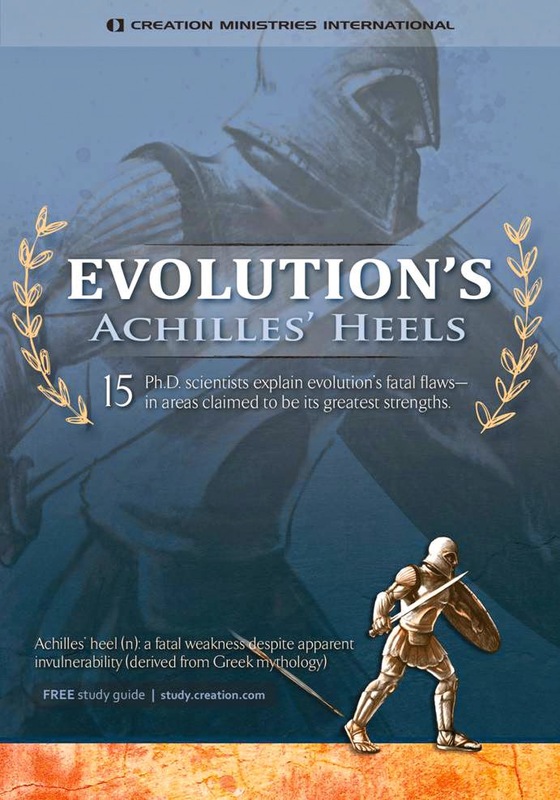 In addition to Dr. Batten, the documentary features 14 other PhD scientists, and together they highlight, as the title puts it, Evolution’s Achilles’ Heels. They cover a wide range of problems, grouped under categories like the Fossil Record, Genetics, Natural Selection, Cosmology and Radiometric Dating. I really can’t say enough nice things about it: from beginning to end this is brilliant, and as good an introduction to the problems with Evolutionary theory as you will ever find. The Dove foundation said, “If we could award Evolution’s Achilles’ Heels more than five Doves, our best rating, we would!” and I echo the sentiment. 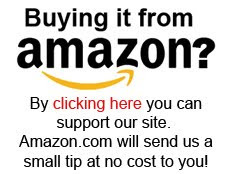 You can buy it Amazon.com by clicking here. Thank you for making and posting this video CMI. Allow me to interact briefly with a comment on each section. Most evolutionists have never critically examined their own position: I find that hard to believe. Maybe some, but most? Evolutionary scientists analyze and evaluate data every day, and just like there are many scientists who no longer hold the simple theory of the Big Bang, if evolutionists find something drastically inconsistent with existing theory, they aren't going to, and can't lie about it. Natural Selection plus mutation: yes it is the opposite direction of evolution. but then the entropy of the cosmos is decreasing all the time too, and stars still form, adding to the order in the universe IN that locale. They also disintegrate, mirroring the concept of death on earth as well. Mutation on a cell or gene level does not, even by common experience, mirror the progress or evolution of human life spans and height and strength. I'm not a scientist but I know it is complex why this is so. Origin of Life: I don't think theistic evolutionists anyway, advocate for life evolving from an spontaneously formed proteins into an amoeba. God breathed the breath of life into Adam, and he became a living being. And being formed from the dust of the ground does not mean that God formed human beings, or even each species in the same manner that atheist evolution says. That is very, very hard to argue on the basis of the Bible. Next to impossible really. The Cosmos: Inflation and deflation of the universe are often misunderstood. In this area, I took a few courses in my undergraduate studies. I can say with some surety that during the period of inflation of the universe, gravity does NOT work in reverse, is that is what was meant. Gravity is present between stars and galaxies all the time in the same manner, it's just that inflation is a little like blowing up a balloon. The residual force of your breath, while still there, drives the inflation until your force stops. Deflation can then begin. Your breath is like the force of the beginning of time, which still pushes inflation today in the universe. So gravity never works in reverse, and your description of this is based on Physics that I haven’t heard of yet. Fossil Record: all you are saying there is that there are still holes - major ones, granted- in the fossil record. No evolutionist denies this. They are working hard and making limited progress at filling those holes. Geologic Processes: Again in my undergrad I did a course on Radioactive Dating and one on Particles and Nuclear Medicine. In your video, if you had said: "the decay rates of Cs 137 etc" vary with time, that would have been more true first of all. Second: where is the evidence that a particle that has a half life of 4.5 billion years has a different decay rate at various times. That would be difficult to measure I think. Third, you are suggesting these elements had different decay rates in the past... 1000 years? 6000 years? million years? And like your biggest claim against evolution, isn't that constructing the present from the past? No one was there to verify that these elements had different decay rates, so scientists go with the simplest hypothesis in such a case: decay rate assumed same. Ethics: "Atheists are not amoral". Thank God for his grace that they arent. But that statement precludes the presupposition that evolutionists are atheists. This means calling theistic evolutionists heretics or worse - apostate. Having a rational discussion with them - that's more instructive. Ken Ham vs. Bill Nye was an excellent start in the general creation – evolution debate. Find a more charismatic guy for your side and it will be a fairer battle next time. Submitted as respectfully as I can after the misleading info in this video. Tim - I just wanted to be clear that what's above is just a teaser for the documentary, and I would highly recommend you pick up a copy to take a look at the real deal. I will also note the one area it doesn't tackle is anything from a specifically biblical direction - this is not a Scriptural analysis, but is instead an evolutionary take-down - so if you (or anyone else) are looking for more in that area, then the best bet would be to visit the film producers' website, www.Creation.com, or www.AnswersInGenesis.org, where there are thousands (maybe tens of thousands!) of helpful articles.